Canada is having a hard time meeting its Paris agreement emission targets. 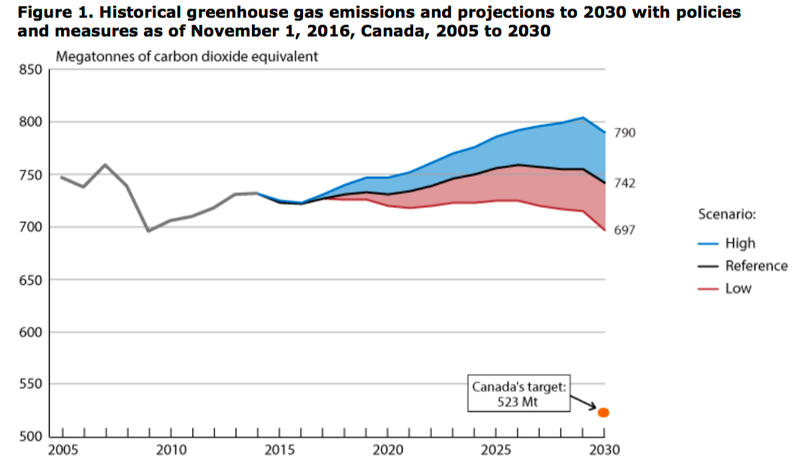 According to an Environment and Climate Change Canada report released in February 2017, the 2030 target will be missed by 30%. In order to determine what needs to change to meet targets, we need to evaluate the efforts that are currently underway. Canada’s biggest emission offender is Alberta (Environment and Climate Change Canada, 2017). To mitigate some of the resulting emissions, the province currently has an ambitious carbon price. In 2018, the Alberta carbon price increased to $30/tonne from $20/tonne. This is higher than prices in Ontario, Quebec, the European Union, and California. In the future, Alberta will follow the minimum carbon emissions pricing schedule mandated by the federal government (National Post, 2017). Government intervention, such as what can be seen in Alberta, is absolutely necessary in order to meet emission targets. On one hand, most people would agree they would rather live in a world without climate change, however, no one wants to pay. Without a carbon price, businesses in emission-intensive sectors may not have the incentive to reduce their emissions. Reducing emissions requires clean technology – that comes with a price. A firm deciding to reduce emissions will see an increase in operating costs, putting it at a disadvantage compared to firms that do not attempt to reduce emissions. Pushing costs onto polluters better distributes responsibility. Unfortunately, this is often not what happens. Externalities from businesses contribute to the increase of fires, floods, droughts and other natural disasters, but businesses do not pay for relief efforts. Costs of these disasters fall onto the public, insurance companies, and government. Insurance companies are becoming more reluctant to cover property within high risk areas. How can we hold businesses accountable for the impact they have? Carbon pricing and regulation forces businesses to internalize costs of externalities. 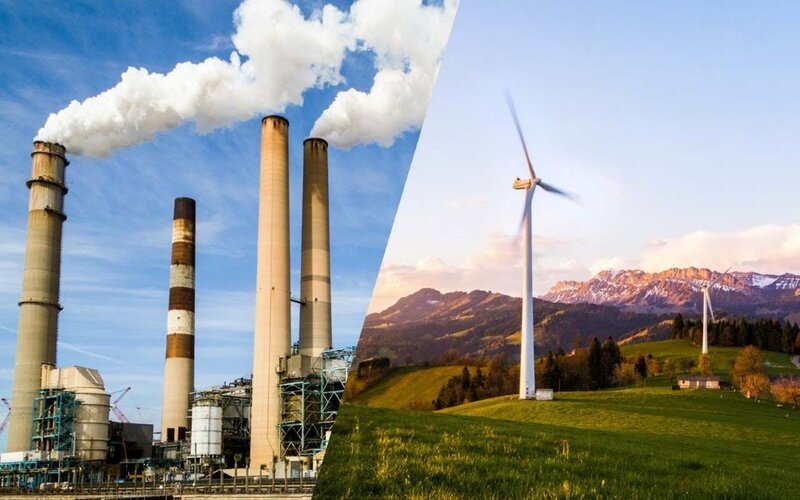 If the price of emitting a unit of GHGs is set to a level higher than the cost of reducing emissions by one unit, then a business will choose to introduce clean technology to reduce emissions. But, setting carbon price too high may hurt profits or even bankrupt some firms. Governments attempting to set a carbon price will be faced with the very difficult problem of determining the optimal price that balances these two agendas. The solution is to allow market forces to determine the optimal carbon price through a cap and trade program. Some businesses may benefit from being able to reduce their emissions at a lower cost than other firms. Under a carbon cap and trade program, firms capable of reducing emissions at a lower cost can sell their carbon permit to firms that have a harder time reducing emissions. The price of maintaining total emissions under a set level will be reduced for both companies involved in the trade. This kind of regulation will result in the greatest benefit. There are two main reasons why GDP can be hurt by emissions regulation: outsourcing and low adoption of clean technology. Companies within areas affected by regulation, especially multinational companies, could avoid costs associated with reducing emissions by outsourcing manufacturing to countries with less restricting carbon policies. Fortunately, investment leakage will be reduced if more countries implement stricter emissions regulation. There is no telling when or if this breadth of regulation will be achieved. The second threat to GDP is low adoption of clean technologies. In this state, a reduction of emissions strongly correlates with a reduction of GDP. Historically, there has been a positive correlation between GHG emissions and GDP. Before modern clean technologies were invented, a decrease in emissions meant a decrease in production. Recent development of clean technology has weakened, or decoupled, the correlation between GHG emissions and GDP. We can observe the decline of carbon dioxide equivalent per $ billion GDP from 1990 to 2015. In tandem with preventing the bad, policies should also promote the good. Implementing regulations that solely restrict emissions will not be conducive to long term economic growth and energy security. Canada needs to accelerate its adoption of clean technologies in order to build an economy that is carbon neutral while promoting economic interests. Government can contribute to this through tax credits, subsidies, and other support for clean tech innovation. As a result, costs will be lowered for businesses looking to reduce emissions and level of adoption of clean technologies will increase. Combining policies that restrict environmental externalities with policies that support innovation will increase costs of production for emissions-heavy companies while lowering the costs of production back to normal levels for companies that implement emission reducing clean technologies. “Meeting Canada’s 2030 target will require substantial effort and actions beyond those currently planned or in place,” according to the Collaborative Climate Change report by the Commissioner of the Environment and Sustainable Development. For this kind of action to be taken, there needs to be constant support from politicians. When support for environmental initiatives by politicians is constantly changing, firms that choose to implement them may be at a disadvantage. The public will play a big role in encouraging appropriate behaviour from politicians in this area. 18.1% of Canada’s energy is from renewable sources. Compared to other OECD countries Canada is doing well in this metric, but there still is a long way to go. 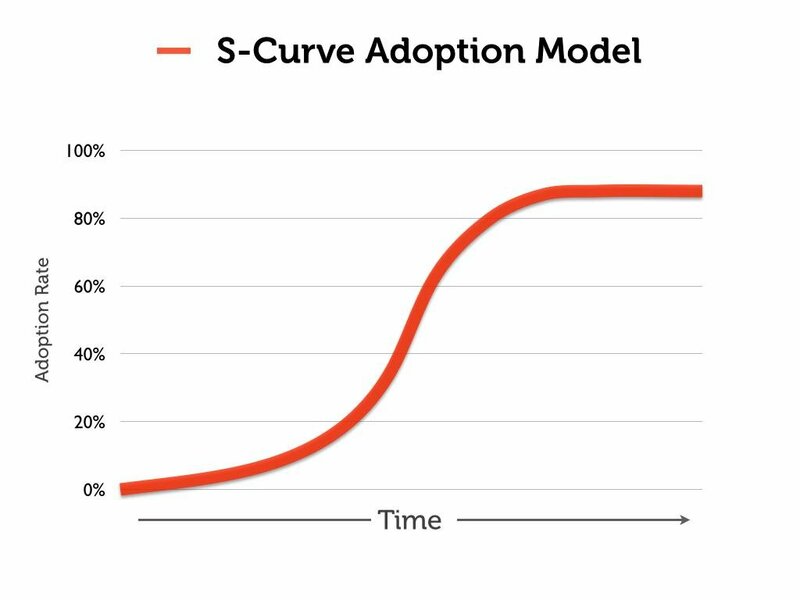 It can be predicted that the adoption of clean technology will follow the S-curve adoption model. In renewable resources we still have not reached the tipping point. The longer it takes Canada to transition our technology, the larger our cumulative impact will be on the environment, and the more stress we will put on future generations.